There is only one savior for Microsoft as far as its smartphone business is concerned and that it is Surface Phone at this point. While there are very minute details presented about the device, it has been stated that Surface Phone is going to be targeted to enterprises, suggesting that the handset is going to be used as a business individual’s daily driver and could remotely replace their desktop computer to a small scale. Unfortunately, Microsoft’s Windows 10 Mobile has been in complete disarray and the company has no one else but to blame for its negligence. With Microsoft Lumia seemingly out of the question in terms of another Windows 10 Mobile powered smartphone entering the market, all hopes for the company lies in the arrival of its Surface Phone, assuming Microsoft does not pull the plug on this as well. Christian Daily reports that while Surface Phone is delayed till 2017, there could be some sort of incentive for consumers to wait for it, and that happens to be in the storage department. 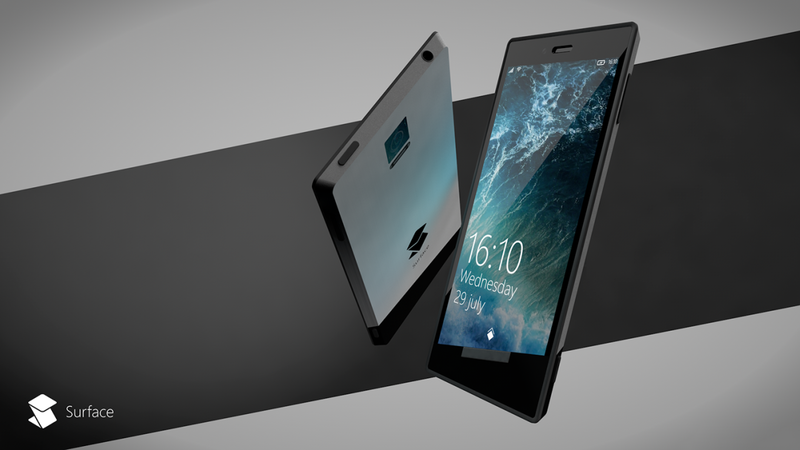 According to a rumor, the highest configured model of Surface Phone, which is said to be the Pro version could have 512GB of internal flash memory, thus putting your laptop’s mechanical hard drive storage to shame. While some might question as to how it’s possible for a smartphone to feature half a terabyte of storage, phones like ASUS ZenFone 3 Deluxe are expected to arrive this year with 256GB of internal memory, and news hovering around also suggests that iPhone 7 will have 256GB of storage, so seeing mobile devices boast 512GB of storage next year definitely sounds like a possibility. In order to show that Surface Phone means business, we also expect that a Snapdragon 830 chipset is going to be part of the hardware specifications. The SoC will be processed on the 10nm FinFET technology and will once again feature Qualcomm’s custom Kryo cores running at a much higher clock speed thanks to the 10nm technology. There are two other models that will be introduced later in 2017, but there is no information regarding the market they will target.